Neither Italian nor US authorities have officially said whether the seized US Treasury bills worth US$ 134.5 billion are real or fake. A US Treasury spokesperson said they were fakes, but acknowledged that he only saw them in a photo on the internet. 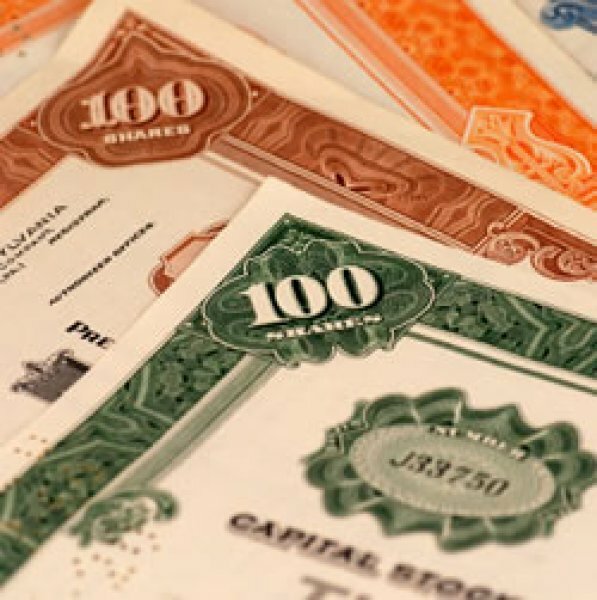 For Italy’s financial police, if they are forgeries, they are practically indistinguishable from the real stuff. Both the US Federal Reserve and the Bank of Japan have an interest in denying their authenticity. Milan (AsiaNews) – Italy’s financial police (Guardia di Finanza) seized US$ 134.5 billion last 3 June. In the following days the news hit the front pages of Italian newspapers and became a major story in the country’s news broadcasts. AsiaNews is a missionary news agency, not an economic agency and began reporting the story a few days later (8 June) noting how foreign media were ignoring news of such importance which could have major social and economic implications for Asia (and the rest of the world) and this irrespective of whether the bills were real or not. Despite the many uncertain explanations, one thing is certain, namely that the major print and electronic media and the authorities have said almost nothing about it. So far the only official statement made by any government authority is that by the Italian financial police, on 4 June, right after the money was seized. The only new piece to this big puzzle is information from Japanese agencies which cite Japanese consular sources. According to them, the two Asian men stopped at Ponte Chiasso (Italy) on their way to Chiasso (Switzerland) were indeed Japanese nationals, one from Kanagawa Prefecture (central Japan) and the other from Fukuoka Prefecture (western Japan). The only other certainty is that both men were released after their identity was established. If police had enough elements to conclude that the securities were fakes (and this is true even for lower denominations or net worth), it had to arrest the two men. Failure to do so would have meant charges for the police officers involved. If this was not the case, then the two men were released because police authorities were convinced that the securities were real. In fact under Italian law, the authorities could not arrest the two Japanese nationals but could only impose a fine worth 40 per cent of the value of anything above 10,000 €. If this did not happen, there is only one other possible explanation, namely that an order from higher up the chain of command in the government came on national interest grounds. Neither the Guardia di Finanze nor any other Italian government agency has released an official comment or statement on the matter one way or the other. It is not even known if a written fine was issued (had it been it would indicate that the securities were real for the police). The first report by an international news agency is dated 12 June and is by Bloomberg. It includes something odd. Some of the seized securities were issued in 1934; a detail not found in the statement issued by Italy’s financial police. One can argue from the facts that this detail could have indicated in which direction someone was trying to move the affair, i.e. towards the idea that the bills were fakes. Conversely, we do know that the US treasury did issue one billion dollar Kennedy Bonds less than ten years ago, like those mentioned in the police’s official statement of 4 June, but whether the latter are real or not is something that has not yet been officially determined. So far little has been said about who the two Japanese men really are. Given what the securities are worth this is understandable, albeit unusual. Two weeks after the story initially broke Bloomberg quoted a US Treasury official, Stephen Meyerhardt, who could claimed that the securities were “clearly fakes”. Yet in another interview Meyerhardt said that he had not seen the securities in person but had relied on a photo on the internet to reach his opinion. Also, two weeks into the affair, after Italian and US authorities were informed about the seizure, no one from the US Treasury has yet to come to Italy to check out their authenticity; indeed such a simple operation if we are to believe Mr Meyerhardt since he could reach that conclusion just by looking at an internet photo and this against the backdrop of the Italian financial police which claims that if the securities were indeed counterfeit they were so well done that they were indistinguishable from real ones. What this means is that either the Italian policemen are totally incompetent (which is not very likely) or that Meyerhardt’s statement should be taken with a pinch of salt. Whatever the case may be, the fact that two weeks into the affair US experts in counterfeit securities have not yet arrived in Italy raises more than one question; after all we are talking about US$ 135.4 billion. Often considered a good authority in journalism, London’s Financial Times seems to have jumped to the wrong conclusion when in a recent article it claimed that the seized faked securities were the “the latest handiwork of the Italian Mafia”, thus accepting uncritically that the US Treasury bills were fakes. In fact it did not show how they were linked to the mafia. Confidential sources, whose reliability AsiaNews could not confirm, claim that one of the two Japanese stopped and then released in Ponte Chiasso was Tuneo Yamauchi, brother-in-la of Toshiro Muto, who was until recently Deputy Governor of the Bank of Japan, which of course does not automatically mean that the securities are real. However, other sources are saying that for Italian authorities they are real and that Rome is unwilling to play along with the US Federal Reserve, which described them as fakes without taking a peak at them, except via the internet. What seems clear is that the Federal Reserve has a vested interest in helping the Bank of Japan get the Securities back to avoid paying the Italian fine. The Fed in fact is having a hard time trying to sell its bills on various markets and the Japanese are its main buyers. At the same time the Berlusconi administration in Italy, despite its popularity and electoral successes, could come under pressure at home if the securities are actually real and it came out that it was unwilling to enforce its own laws on Italian territory.